Boeing has revealed that Indian carrier Jet Airways is the previously unannounced customer for 75 737 MAX 8 aircraft. Jet Airways and the manufacturer announced the order on November 9 at the Dubai Airshow 2015. The announcement marks the largest order in Jet Airways’ history and supports the airline’s replacement strategy, according to Boeing. 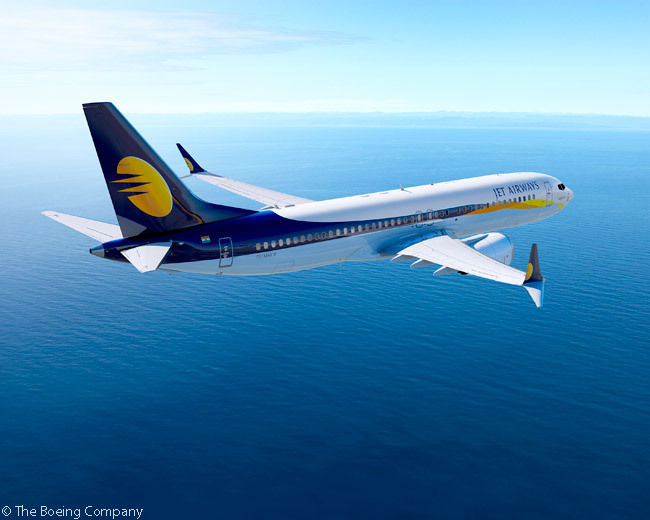 Jet Airways’ order, previously attributed on Boeing’s Orders & Deliveries website to an unidentified customer, includes conversions of orders for 25 737-800s to 737 MAX 8s, as well as conversion of options and purchase rights for an additional 50 aircraft. “Incorporating the latest design and technology features, the highly efficient 737 MAX will allow us to drive our operational efficiency and reaffirms our commitment to providing a best-in-class full service travel experience to our guests,” says Naresh Goyal, chairman of Jet Airways. “This order is an endorsement of our confidence in the long-term prospects of the Indian aviation sector, which reflects the positive forecast for the country’s economy and offers tremendous potential for growth and development,” adds Goyal.